Every Sunday morning I have the incredible privilege to ask my church to do what Psalm 69:30 says. I ask them to praise God with a song. Before I do that, I have the responsibility of choosing what songs we sing. This is a weekly responsibility, but if I'm thinking of the bigger picture, it's a yearly responsibility. It's more than a set of songs. It's a rotation of songs that we learn, internalize and eventually sing with enthusiasm in efforts to offer praise to the Lord. A healthy song rotation will benefit and help your church fully engage in worship during the music portion of our services. There's many opinions and philosophies regarding song rotations. I decided to flesh out my approach and found that my rotation is made up of three types of songs: Past, Present and Future. 1. PAST SONGS – These are songs that we know and have been singing for some time. Another way to describe these is simply "old songs." When I think of past songs, I think of songs like "How Great Thou Art," "How Great is our God" and "Great I Am," to new name a few GREAT songs. These days, it takes less time for songs to end up in this category. If a song has been out one year or more, it seems to be considered old, which is obviously ridiculous, but that's another topic. "10,000 Reasons" is a song that I would consider a past song for my church. It's not new anymore, therefore it's at risk of getting tired. I know my church connects with it. If I want to keep it in rotation, I need to use it less and less. That way when I do choose to use it, the reaction will be, "Oh yeah! I almost forgot about this one. It's good to sing it again." If I keep it in rotation too much, people will inevitably get sick of it or it could become more ritual instead of spiritual. Bruce Springsteen said, "A good song takes on more meaning as the years pass by." There's value in not forgetting past songs, but it's also key not to kill them. Be aware. Discern the temperature of a song and use it appropriately. That will help it's sustainability. 2. 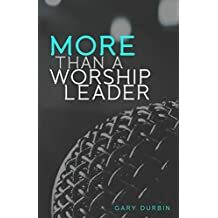 PRESENT SONGS – These are songs that are currently impacting your church, which is evidenced by the engagement that the majority of your people have with them. I typically view these as songs that I've introduced in the scope of a year. These could be reflective of the season of life your church is in or the trials, tribulations and triumphs they're experiencing. Present songs are the soundtrack of your church and the current journey that you're traveling on together. The beauty of present songs is that your church will ultimately choose them. Your church will let you know by their engagement, their singing and their worship. They become anthems and heart cries. Many of the people who walk into our gatherings week after week have things stirring in them, but they don't have the words to express them. These lyrics give them the ability to articulate their thoughts, feelings and praise to the Lord. They are songs that are moving your congregation in the present and they are truly a "present" or gift to the church. Recognize which ones they are and keep them threaded in your rotation. You will get tired of them way sooner than your church will. The good news is – it's not about you. 3. FUTURE SONGS – These are songs that we don't know yet, but will potentially be a fresh offering for our church to express. Psalm 96, 98 and 149 start with a challenge to sing a new song to the Lord. Churches who never teach new worship songs are disregarding a very clear directive in scripture. For most of my upbringing, I watched the traditional churches I attended fight tooth and nail against new songs. The other extreme that has surfaced in recent years is the worship leader who teaches too many new songs. To keep it plain and simple, if your church does not eventually know your new songs, then you're introducing them too often. As a worship arts person, it's tempting to keep bringing new tunes to your church, because it's stimulating your own creative juices. Give them a chance to learn and sing a new song, by giving them a healthy diet. I teach a max of 1 to 2 songs a month. Your church may need less. Also be prayerful and careful of which songs you choose to teach. Paul Baloche has 3 great questions to ask yourself: 1. Is it biblical? 2. Can people relate to this? 3. Will my congregation sing this? Every worship leader will attempt new songs that are a "swing and a miss." That's part of your growth journey. Learn from your mistakes and teach songs that will bless your church. A healthy balance of past, present and future songs have been great ingredients for me as I plan and prepare worship services on a weekly basis. Intentionality with song rotation has helped and inspired my church to engage, sing and worship together on Sunday and individually throughout the week. Be intentional with your rotation, because songs are powerful in the life of your church.